I looked at this for a long time. I got it about a year ago and have used it on 2 projects. It does what it does very well. All I’ve done with it could have been done without it, but not as easy or accurate. 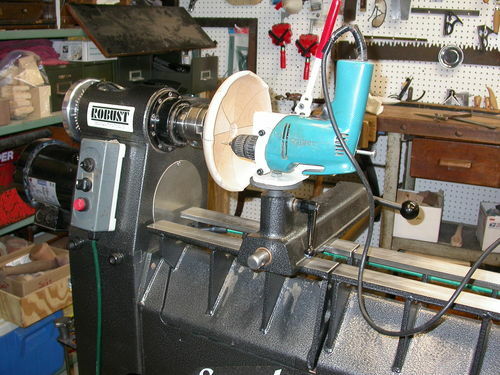 Right out of the box I put a bit in a drill and mounted it to the lathe. I had to cut down the post to get the bit on center. That’s with the post bottomed out in the banjo. It’s made for chair makers. I’m not there yet, but it will do what I need. It’s a Oneway tool. Very well made, built to last. 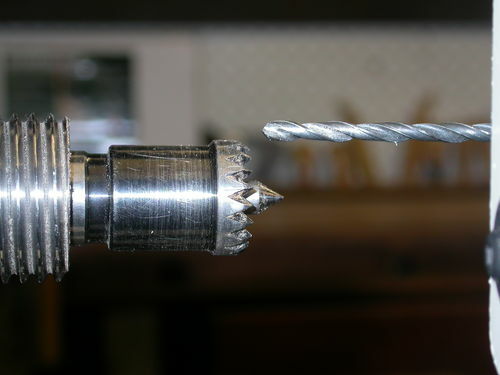 Drill Wizard enables you to drill cross-holes quickly & easily! 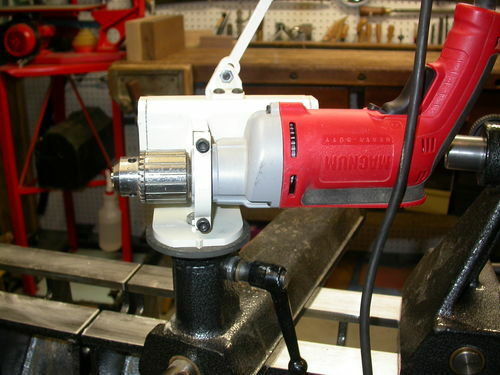 Ideal for the construction of chairs and stools, the DrillWizard will allow you to quickly and easily drill holes of a specific depth at a specific angle. 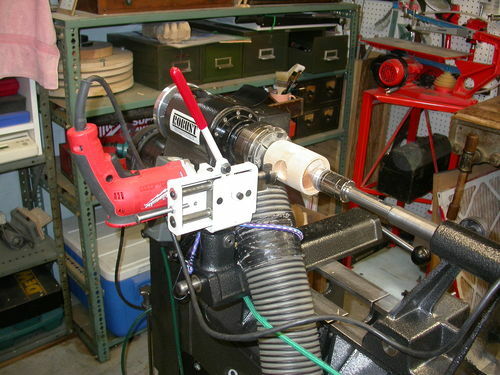 Used in conjunction with the spindle indexing feature (available on most lathes), this tool is a great way to drill a series of holes equi-distant (90 degrees) from each other i.e. four holes in the base of a stool seat (for the legs). The DrillWizard has a 1” post which is inserted into your banjo (toolrest base). 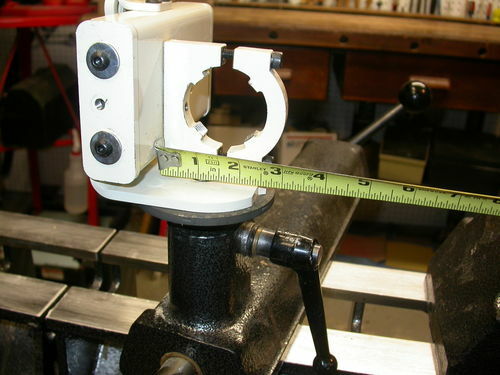 A collar on the post is used to set the height of the jig from the lathe bed. Quoted from the website because I had no idea what it is or does. Very cool lathe tool Hairy. Do you think it could also be modified to hold a small router? Maybe. You might be able to make an adapter to fit, but I can’t say for sure.